National Poetry Month started in 1996 by the Academy of American Poets and is held every April. Poets, publishers, booksellers, lit organizations, colleges, libraries and schools celebrate poetry through readings, workshops, performances, festivals, writing and sharing poetry and it’s role in our culture. This year Virgogray celebrates with the release of The National Poetry Month Chapbook Anthology which will include the work of several writers from around the globe. 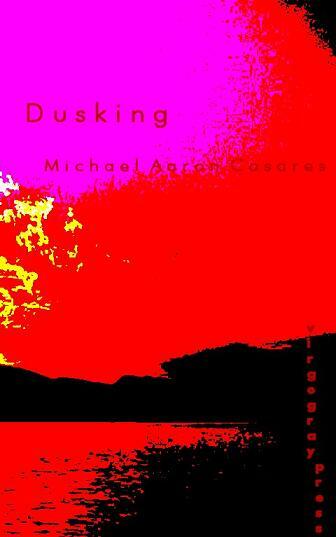 Also we will be publishing a new chapbook by Michael Aaron Casares entitled “Dusking’ that will be available for free, so be sure to let us know if you want one. Dusking is a brief collection poems and includes: The Hour of the Star, Merge, In Approaching the Sun, The Watchers, Sentiments of Afterthought Reparations, Unrest, See Itself Eternal, Full of Laughter, and Contentious. It is a bit romantic, with a subtle longing that is the essence of a poet’s journey and observation. is the resignation of all reality. Today, I see things differently. upon the prize or security or the means. & reality. Should I fight this gravity? who created it and then ceased to exist? Virgogray will also have some presence at The Austin International Poetry Festival. Michael will be reading on Sunday April 18, 2010 at Book People in downtown Austin, TX at 3 PM as part of the festival. You may also catch him at Mohawks on Red River for the open mic at noon, too. Virgogray chaps will be available for purchase during the festival, just talk to Michael and we’ll get you set up. For more info on AIPF check out their website: www.aipf.org. Lastly, AWP is happening this month, too! And Virgogray will be there in the midst of all that poesy as well. Unlikely Stories and Ahadada books will be hosting an off-site reading event to take place Saturday April 10, 2010 at Michelangelo’s Wine and Coffee Bar (1 Broadway Suite B; Denver, Colorado) from 7 – 11 PM. Virgogray authors Anne McMillen and Donna Snyder will be reading at this event and you can bet they will have copies of their work with them, so be sure to check it out! Poets reading will be Janée J. Baugher, Wendy Taylor Carlisle, Amy Catanzano, León De la Rosa, Adam Halbur, Judy Halebsky, Michael Harold, Deb Hoag, Anne McMillen, Jared Schickling, Judith Skillman, Jeffrey Spahr-Summers, Donna Snyder, Dayana Stetco, Violetta Tarpinian, Donald Wellman, Lawrence Welsh and Joe Zanghi! It is quoted as being “funky, avant-garde and transgressive literature by eighteen writers from Japan, Germany, Mexico, and the U.S.!” It is sure to be a stellar evening! And as always, join us at Carcinogenic Poetry for verse old and new with an edge to it. We will be taking submissions throughout April for our next anthology, String of Pearls which will be out in May. Visit our submissions page for details. And also be sure to check out all the titles available in our catalogue! Don’t forget, the fourth book is free!